Norwegian Cruise Line is extending its Wave Season sale offering upgrades, reduced deposits and coupons through April 15. All new cruise reservations on all ships will receive a free upgrade within the same stateroom category and e-coupons providing onboard savings worth $400. 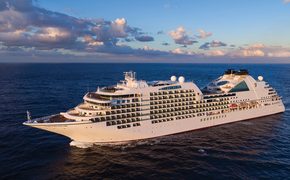 The line also offers a mini-suite for the price of a balcony, balcony staterooms for the price of an ocean-view, and ocean-view staterooms for the price of insides on all ships. Cruise deposits during this time for sailings of three days or longer are reduced by 50 percent.